Shear pump is also called shearing pump,which is a centrifugal pump,but used for shearing of drilling mud chemicals,shearing the bentonite. GN make centrifugal shearing pump for drilling mud solids control system. JQB series Shear Pump is a special purpose equipment of solids control system which can meet all customers’ requirements of preparing dilling fluid for the well drilling system. 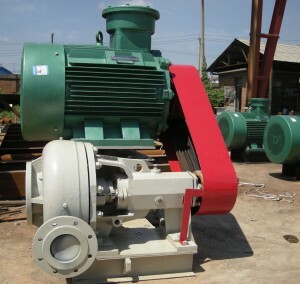 This shear pump manufactured by GN company is used to treat the high property mud, make the mud to obtain good rheological properties and cut the drilling cost as much as possible. This ideal solids control equipment designed by GN’s engineers has high performance and gained customer’s high evaluation. Awaiting your reply for the Centrifugal pump for shearing of drilling mud Chemical and thank you for your continue support. Motor: 40Hp/415V/50Hz, 3 phase. Class. zone 1,ATEX compliance, explosion proof, ingress protection 1P56. I realize anyone folks are on Facebook consequently go check out the ‘Promotion Nation’ web site for Chicago article situations, upcoming Artist (rappers etc.) during da Chi place your films show your love to any internet page and to any Chi… just about anything you must promote put up (various cities coming to Dallas, Boston ma etc)!!!! !